Just over three weeks ago we got married, and something that has effected me in a way I never thought it would is seeing the glint of silver on Jon’s left hand. I love him wearing a ring. I love looking at it, and seeing it when he gesticulates while he talks. I love looking at pictures and seeing it on his hand. It makes me so indescribably happy and content. The fact that we have these rings on our fingers sits so well with me in a very comfy cozy life-altering way. This is the man I chose. I think it was a good choice. 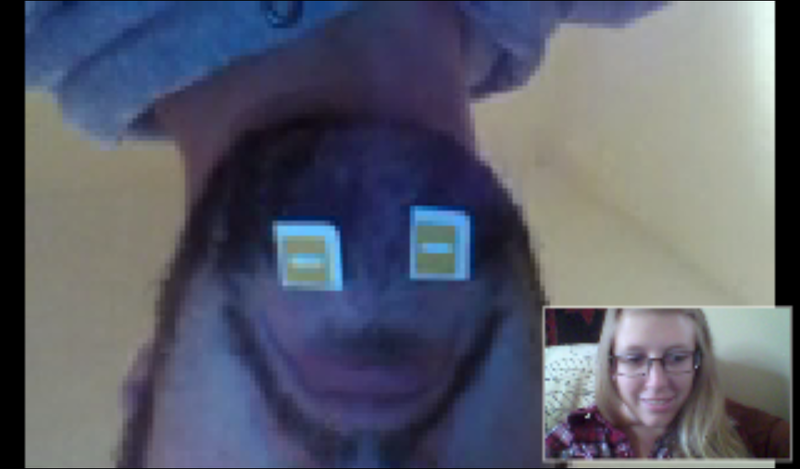 He does things to make me laugh during our daily video chats. Good one, Norris. Upside down face is a keeper. You realise you’re just going to get people searching for Family Guy stuff turning up disappointed now, right? haha, i didn’t even think about that! anyway, he’s upside down boy or something, n’est pas?